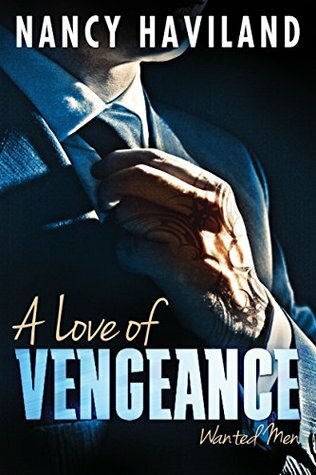 A Love of Vengeance is book one in the new series Wanted Men and oh readers, let me just tell you, there are plenty of men you're going to want after reading this. If warring mafia families with mixed in action from some motorcycle club men trip your trigger, then you're going to want to get this book immediately. Gabriel grew up as the second son to the Moretti family Don but after a major fallout with his older brother Stefano, he skipped town. He was taken under the wing of Vasily, the Pakhan or godfather of the Russian mafia in the United States. Gabriel has tried to go straight but Stefano sporadically makes appearances in his life to remind him that their fight isn't quite over yet. When Vasily comes to Gabriel asking a favor, there is no way he can refuse him. It turns out that Vasily kept hidden a daughter, whose life may now be in danger and until Vasily can do some cleanup work, he only trusts Gabriel to keep her protected. The daughter, Eva, has never met her father let alone knows who he is and with the recent death of her mother, her world is reeling. After weeks of watching Eva, Gabriel has started to develop feelings that could have him wearing some cement shoes. When Eva and Gabriel finally meet, their mutual attraction is combustible but as Eva finds out not only who Gabriel is but learns what her new identity is, will it be sustainable? Gabriel is a very strong and interesting character; he had the rough upbringing of being raised to be his father's enforcer. He is extremely domineering, forceful, and used to not having to repeat himself while also having an innate sense of fairness. He has gone straight for the most part but still has that one foot in the underground world because he recognizes that for better or worse it is a part of his identity. For being in a story with numerous powerful men, Eva manages to hold her own, most of the time. She meets Gabriel and is instantly attracted and fascinated by him only to find out he has lied to her. Eva has no clue about the new world she is thrown into and while holding onto to Gabriel helps to keep her feet on the ground she also is struggling to completely trust him. Their heavy sexual bond with layer of mistrust creates a fierce push and pull relationship. The overall story is a mixture of thriller, suspense, and action; imagine Eva and Gabriel sitting in the middle of a swirling tornado of blood feuds, deceit, spies, and dark underground dealings. The cast of characters is enormous and while each one is interesting, it starts to feel like a barrage. As this is the first book in the series, I'm sure the author wanted to get everyone introduced and set up interest for preceding books but, especially in the beginning, it was overwhelming as I was trying to focus on Eva and Gabriel to develop a connection and interest with them. It just takes away from our main couple a bit, however, it also worked as I am certainly looking forward to some of the men of Gabriel and Vasily's crew getting their own story (definitely looking at you Maksim ;). With such a large cast with interwoven story threads, things could have went off the rails quickly but the author managed to connect everything wonderfully and keep the pace up, I was flipping pages at a good speed engrossed with the story. As far as debut books go, I was highly impressed with this, even with the couple times that I thought Gabriel was a trace juvenile in his thoughts about Eva and the aforementioned slight messiness with dumping a boat load of characters on the reader. The quality of writing has me excited with how good this author could turn out to be with some maturation. Even though at times the outside interference fights to steals the show from Eva and Gabriel, they hold their own. The fervency from this couple will keep you reading late into the night. With mafia and MC themes being so popular right now combined with the good writing and engaging story and characters, this is going to be a in demand series. The second book looks to be about Eva's friend Nika and Gabriel's friend Vincente, both play a decent role in this story, and I will definitely be watching the calendar for it.